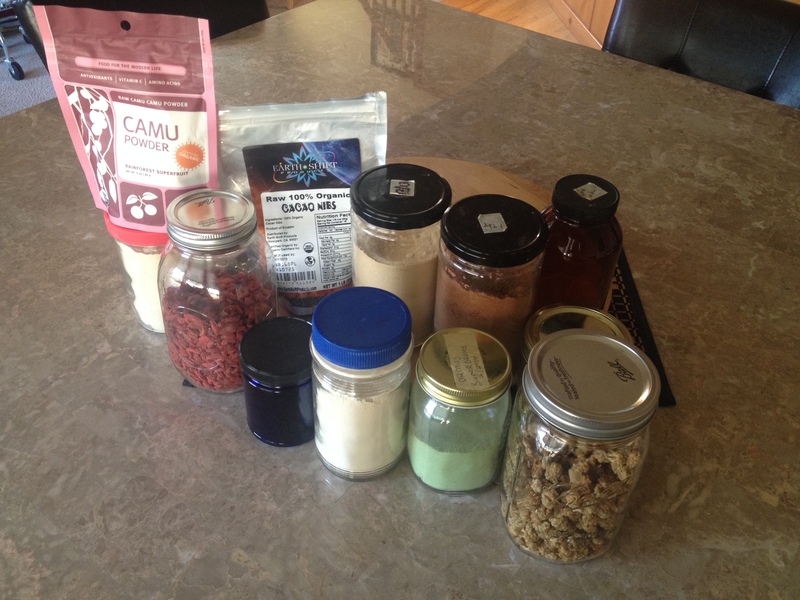 I’ve received a handful of emails and messages about going vegan and what items we always have on hand. So I thought I would share our must-have products, our staples. 1. 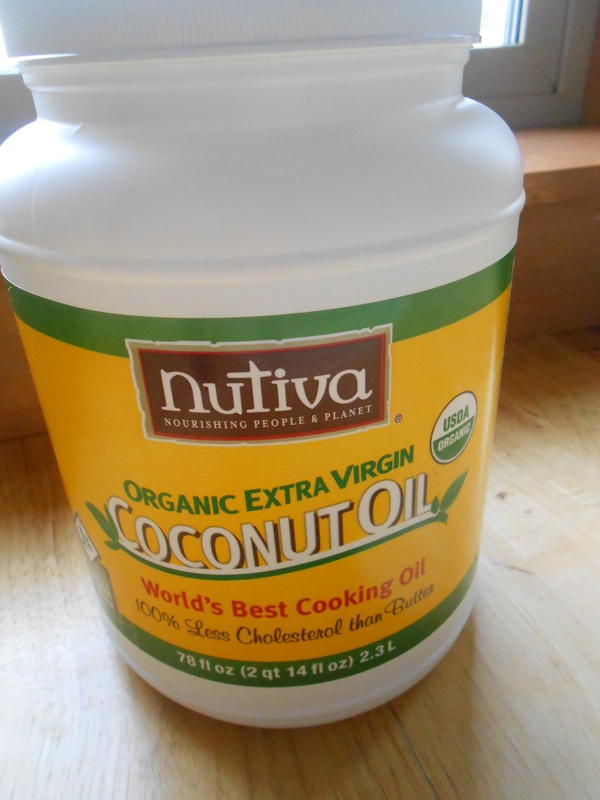 Coconut Oil (organic & raw) – I, seriously, could NOT live without it. We use it in our homemade body care products, raw treats, cooking, baking, and it’s all we’ve ever used on Willow in the rare case of diaper rash. We use it every day whether it’s on our skin or in our food. You can find the above list in some natural food stores or online – we’ve ordered through Ultimate Superfoods, Raw Food World, Earth Shift, Navitas, and Vitacost. 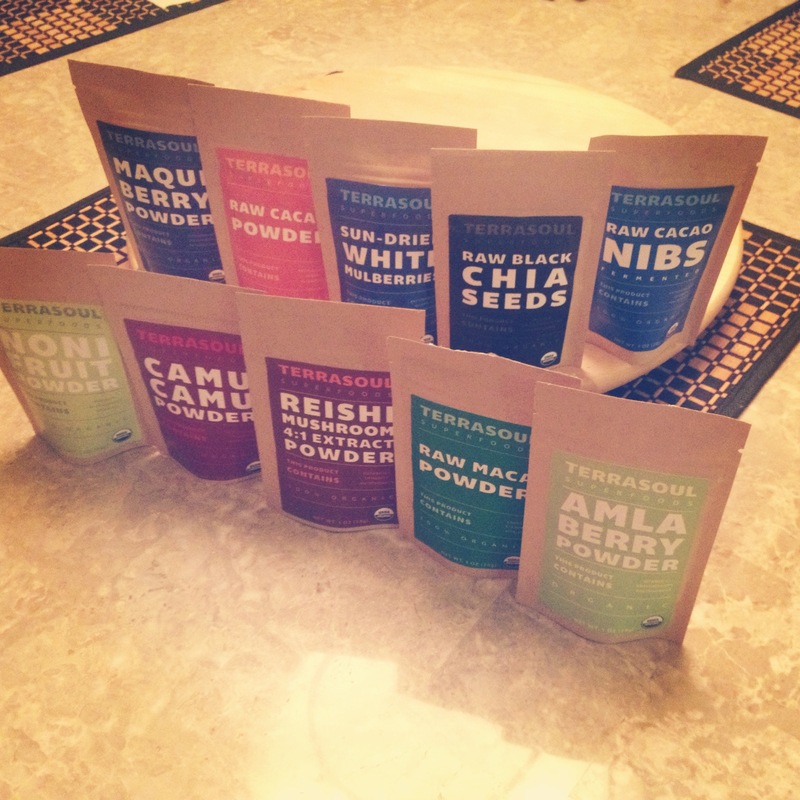 I recently learned about TERRASOUL Superfoods through this great blog PlantStrongVegan and thought I’d give them a shot. They’re a family-run business out of Fort Worth, Texas who sells all certified organic and fair-trade products. I ordered a variety of samples to compare them to the ones we already have. Everything arrived yesterday and I couldn’t be happier! I love the simplicity of their labels and packaging (especially that they don’t use clear, transparent bags) and everything smelled and tasted super fresh. Our daughter polished off the sample bag of White Mulberries as soon as we opened it! I will definitely be ordering through them again because I believe in supporting the family-run businesses, not to mention, they’re prices are the best I’ve seen. Please check them out!! 3. Raw Almond Butter – We use it in smoothies, on top of pancakes, stuffed in Medjool dates for a treat, raw goodies, baked goods, or right out of the jar. We always have a jar of Trader Joe’s raw almond butter in the fridge for daily use and JEM raw almond butter for a treat! 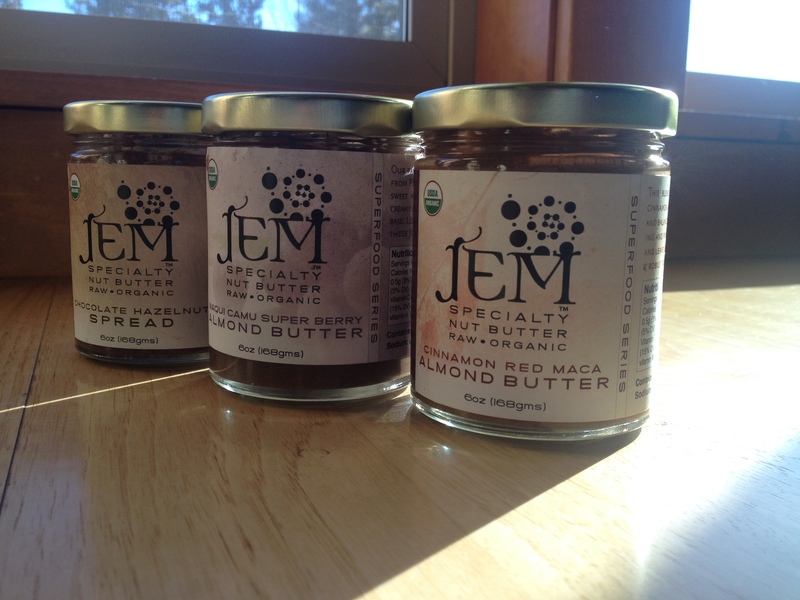 JEM is made right here in Bend, OR and it is BY FAR the best raw almond butter we’ve tried. It is super creamy, rich, and slightly sweet – they use coconut sugar to sweeten, so nothing refined. Our daughter is their biggest fan and would eat a jar in its entirety if we let her! 5. Almond Milk – As mentioned above, we love to make our own nut milks, but almond milk is our favorite. It is so easy to do and a lot less expensive. If you are unable to make your own, Trader Joe’s carries a great unsweetened almond milk that does not have Carrageenan in it, which is hard to find. 6. Dried Beans – It is significantly cheaper to buy dried beans in bulk than from a can…besides, most of the canned beans are packaged in a BPA lined container. If you do go the route of canned, I recommend either Trader Joe’s private labeled beans or Eden Foods organic beans – their cans are BPA-free. In my opinion, dried beans taste far better and a little goes a long way, as after they’ve soaked, they grow in size. 7. Quinoa – It’s an excellent source of protein, iron, magnesium, and fiber – and the ways to incorporate it into your diet are endless – soups, salads, cookies, and more! 9. 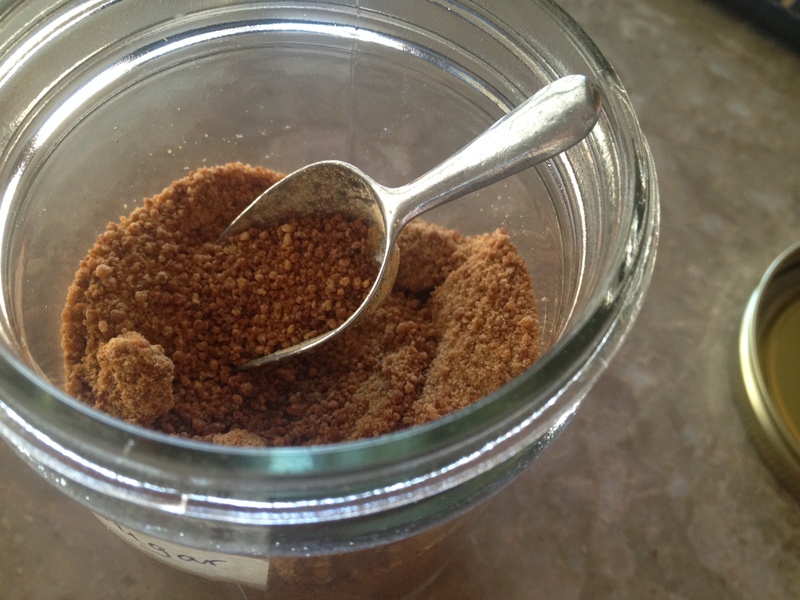 Raw Organic Coconut Sugar & Pure Vermont Maple Syrup – We don’t use any refined sugar, so we use coconut sugar instead. I bake with it, use it in raw treats, and anytime a recipe calls for sugar or brown sugar, I replace it with coconut sugar. Most natural food stores carry it, if not, it’s available online. We also use maple syrup pretty much on a daily basis – sounds crazy, I know! 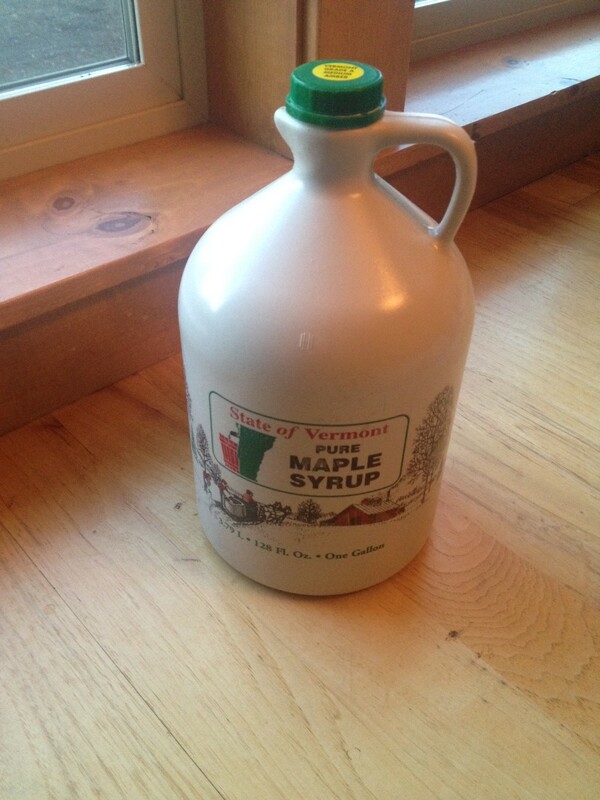 My husband’s family has a sugar house in Vermont – I’ve turned into quite the maple syrup snob…so if you haven’t tried pure maple syrup, you don’t know what you’re missing! So we order our maple syrup through them – and they’ve got the best prices. In case you’re interested, click HERE to learn more about Graham Farms Maple in Williamstown, VT. My one addiction, besides dark chocolate, is coffee. I used to drink it all doctored up with sugar and/or creamer, but now I just add a small drizzle of maple syrup to my cup of coffee and it seems to bring out the flavor more. We also bake with it when recipes call for agave or honey. *If you’ve never ordered anything through Vitacost, which is where we order a number of our superfoods and staples, I highly recommend it. They’re always offering great deals, free shipping on orders over $49 and if you use this link: https://www.vitacostrewards.com/Kb6eyTr we’ll both receive a $10 Coupon – for your first $30 or more purchase! I want to start eating some Raw Organic Cacao Powder everyday to help with raising Nitric Oxide levels in my body. I bought 2 bags of the Terrasoul Brand. I found out later that a lot of cacao powders can have high levels of cadmium in them. I can’t find anywhere on the internet that tells if this brand has high cadmium levels or not. Does anyone know any details about this product?…..or a brand that is safe to eat? Thanks, Phillip. Hi! I was unable to find out about the cadmium levels for Terrasoul. I read the same thing about raw cacao powder a while ago and have since cut my consumption of raw cacao powder….we used to use it every day. I did read that raw cacao nibs are the safer route and I suppose you could even grind those into a fine powder. I found out that Essential Living brand cacao nibs are the way to go and I can personally vouch that they’re high quality. I hope this helps a little! I apologize for my late response.